My day started early today with Mysore class at the Yoga Room (it’s from 6.30am-9.00am!!) I’ve never before been a morning person but I’m really enjoying waking up early nowadays, going to class and having a green smoothie for breakfast. I’m feeling good and energized! Tonight we’re performing at The Montgomerie Golf Club for a corporate event. We just came back from the soundcheck and oh wow what beautiful surroundings! I guess Emirates Hills would be THE place to live in. It’s fun performing somewhere else for a change. We used to do mainly corporate events and private parties back home. It’s 30+ degrees outside and Nala is starting to get pretty warm during her walks. I guess we have to start planning them for mornings and evenings from now on, avoid midday and always have a water bottle with us. In other words it’s starting to be perfect beach weather! 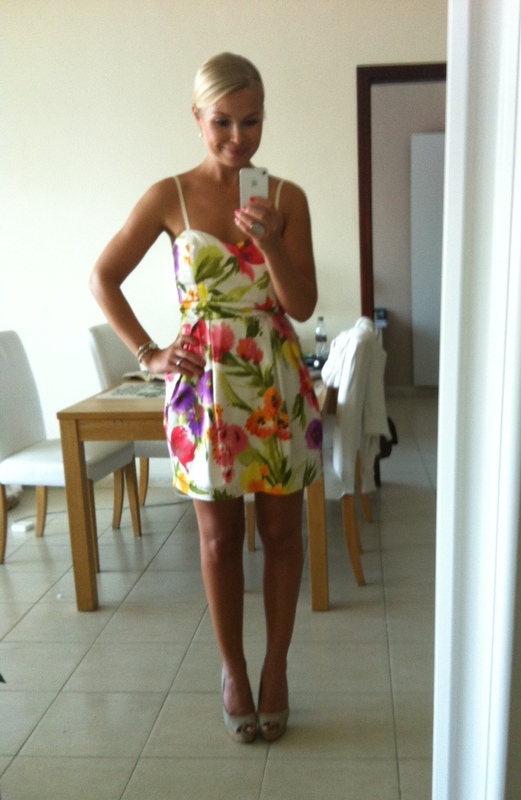 Tags: brunch outfit, dubai weather, mysore, smoothie recipes, the montgomerie. Bookmark the permalink.